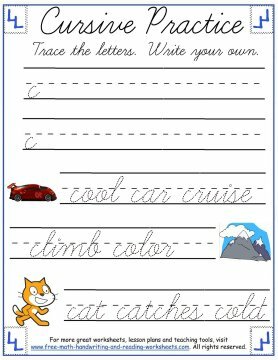 This unit of cursive handwriting practice will focus on the first six lower-case cursive letters. 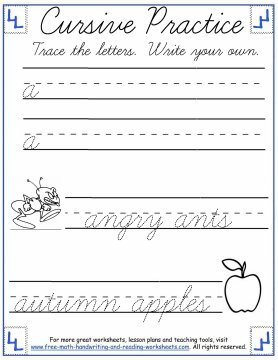 Each worksheet will provide two lines for practicing the letter individually. The student can trace the first letter and then write his or her own. Underneath the practice lines are words that begin with the same letter. The student will be asked to trace the words below that begin with the specific letter. 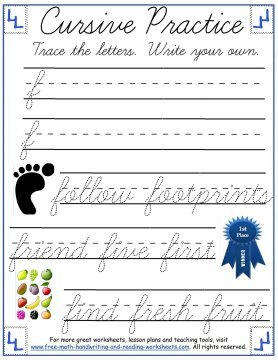 If you would like to have your students write their own words, you can print out these Cursive Handwriting Templates. Click on the pictures below to open up a printable document in another tab. 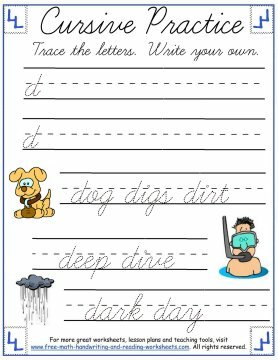 These practice sheets can improve your child's ability to write in script. They are an excellent resource for both elementary teachers and home schooled students. Although you may not find it necessary to print out every worksheet, it is a good practice to have students quickly repeat an older lesson before beginning on a new letter. The familiarity of a task already mastered will give your child the confidence that the new sheet can also be learned. 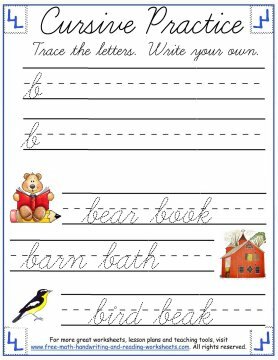 To learn how to write the rest of the cursive letters, see the lessons below. 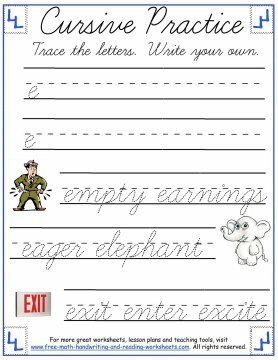 You might also enjoy the letter tracing worksheets.